The discussion in this section of the book examines how equilibrium credit rationing can arise in situations of asymmetric information. A good example of information asymmetry between the borrower and the lender is the borrower's propensity to default on mortgage payments. In particular the likelihood of default may relate to the psychic costs of default, which are essentially unobservable (Brueckner 2000). Under certain conditions heterogeneous mortgage contracts and information asymmetry may result in a separating equilibrium, with at least one of the contracts leading to the rationing of mortgage credit. That is, under some circumstances borrowers self-select in their choice of contracts. Rationing in this case is a form of externality arising out of the imbalance of information. Information asymmetry raises important questions. Offering a single contract to all borrowers is termed pooling. Does pooling form a stable equilibrium? Is it possible to design mortgage contracts that appeal to different risk categories, and will these risk categories self-select and form separating equilibrium? Does such a separating equilibrium still contain a rationing dimension? Can the separating equilibrium form a stable equilibrium, or will there be an unstable dynamic process featuring lenders switching between pooled and separating equilibrium? The answers to these questions impinge not only on an understanding of mortgage market rationing, but explain the existence and role of non-price contract features and the nature and persistence of the menu of mortgage contracts available to the consumer. Information asymmetry reflects upon the issues of mortgage demand and contract design. Recent work has applied models of asymmetric information to mortgage markets (Brueckner 1994b, c, 2000; Harrison et al. 2004; Ben Shahar & Feldman 2003). Research suggests the possibility that different mortgage contracts might highlight characteristics of borrowers that impinge on the profitability of the lending process, for example default probabilities. Mortgage choices have been viewed as signalling both the mobility of borrowers (Dunn & Spatt 1985; Chari & Jagannathan 1989); and their propensity to default (Brueckner 1994c, 2000; Harrison et al. 2004; Ben Shahar & Feldman 2003). These models have been used to explain variations in loan-to-value ratios, the existence of mortgage points (Brueckner 1994c; Stanton & Wallace 1998), and the screening potential of fixed and adjustable rate mortgage contracts (Posey & Yavas 2001). The work of Brueckner (1994c, 2000) has particular applicability to the issue of mortgage rationing. Prior to examining the particular mortgage market applications we recall an earlier model of credit rationing under imperfect information developed by Jaffee & Russell (1976). This model, hitherto referred to as the J & R model, significantly extends the notion of supply and demand for credit by considering imperfect information. There are a large number of significant papers on asymmetric information and credit rationing. Most mortgage market applications of asymmetric information models refer to Rothschild & Stiglitz (1976). However, the J & R model presents some useful insights into mortgage market behaviour. The J & R model is also reviewed here as a useful prelude to the application of some important ideas to rationing in mortgage markets. period model. The asymmetric information arises because lenders cannot discriminate between the two types of borrower. A diagrammatic treatment of the J & R model is presented in Figure 5.1 and is adapted from their original paper. Referring to Figure 5.1, equilibrium occurs in the aggregate mortgage market where supply (TS) equals demand (DD). Various combinations of the interest rate and the size of loan represent different loan contracts. 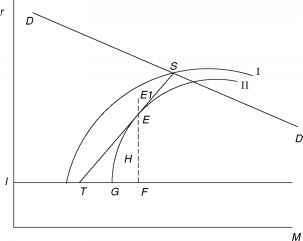 For rationing to occur there must be a loan contract (for example E) lying on the supply curve below market equilibrium (that is with excess demand), and this must be the preferred choice of some individuals. It must also be 'profitable' for lenders to offer such a contract. The loan market is assumed to be perfectly competitive. Lenders' profits are constrained to be zero, as any positive profit is quickly competed away. An alternative term for this relationship is the incentive compatibility constraint. The constraint is embodied in the supply curve for loans. Figure 5.1 Pooling and separating equilibrium in credit markets: the Jaffee and Russell model. Source: Jaffe, D. M. & Russell (1976) Imperfect information, uncertainty, and credit rationing. I, the probability of default is zero, and therefore requires no compensation. The demand curve (DD) is derived from a set of iso utility curves (I and II) representing a trade off between loan size and the interest rate. Lower curves (further to the S.E) represent higher utility. Lower interest rates and higher loans are considered 'goods'. Higher interest rates and smaller loans are 'bads'. For a rationing contract to be favoured over the market equilibrium then this contract must lie on a higher utility curve (that is further to the S.E). In Figure 5.1 this condition holds at point E. This contract will appeal to honest borrowers who experience lower interest rates, reflecting their lower default risk. Rationing occurs because there is evident excess demand for credit when this contract is chosen. Some loan contracts like E1 lie at points higher than E, and below the utility curve I, are more profitable (that is they are above the incentive compatibility constraint). However, competition between lenders will drive contract rates down to the zero profit line, back to point E. Thus rationing appears in this loan market as a result of the competitive process, under conditions of imperfect information. If this was the only contract available then it could be described as a pooling equilibrium exhibiting credit rationing. But just how stable is this position? What does the J & R model indicate regarding the possibility of a separating equilibrium? This would consist of one contract that attracts honest borrowers and another contract that attracts dishonest borrowers. Certainly, it is possible to have a loan contract that lies on a higher utility curve that will be more attractive than contract E to honest borrowers. Such a contract can be found at H. Honest borrowers face a lower interest rate at H, that is they are not paying such a large premium to compensate for the dishonesty of less virtuous customers. The existing contract at E will remain attractive to dishonest individuals. The reason that the dishonest (risky) borrowers stick with loan contract E is that they always prefer a larger loan. But is this situation stable? There is no stable separating equilibrium in this case, despite the relative attractions of the two contracts. The problem is that the movement of honest borrowers to contract H denudes contract E of the more trustworthy and more profitable individuals. The emergence of the new contract at H was an attempt to 'cream off' the more profitable customers. Eventually, losses on contract E will lead to its withdrawal. Consequently, the undesirable borrowers seek out H and make that unprofitable. The fate of this process is now uncertain with either a continuously repeating sequence, or a total meltdown of the competitive process. But is this what we observe in practice? Is the theory directed at an observable phenomenon? The answer is certainly no, we do not observe this instability.2 The mortgage market is certainly dynamic and contracts appear and disappear as a part of the competitive process, but this is not necessarily the same phenomenon. The J & R model is useful because it points to the role of information and also suggests the importance of a variety of non-price terms and institutional arrangements that might prevent the instability arising from the dynamic between pooling and separating equilibrium. There is also an implication here that empirically we may have to detect any separating equilibrium in terms of contract features other than just loan size and the interest rate. So a broader notion of the price vector might also add to the understanding of the form of any separating equilibrium in advanced systems of housing finance. The J & R analysis is placed in interest rate/loan size space, and this facilitates a comparison with the application of other models to the mortgage market. The model is based upon particular assumptions regarding the behaviour of defaulters. Note that the dishonest borrowers take out loans with every intention of defaulting. Such borrowers cannot be identified by their revealed mortgage demand. Both honest and dishonest borrowers have the same utility functions, and make up the same demand curve for debt. This is a useful simplifying assumption when examining how information asymmetry can produce credit rationing, but it militates against the emergence of a separating equilibrium. It may not be the case that borrowers take out a loan with the intention of defaulting. If default is expressed as a risk of incurring default costs, and enters as a negative argument in the borrower's expected utility function, then variations in default costs between borrowers will result in different slopes in their indifference curves. In terms of Figure 5.2 the indifference curves of borrowers could even cross. In this case separating equilibrium contracts might well arise, and rationing might be an enduring characteristic of a particular groups mortgage demand. Figure 5.2 Pooling and separating equilibrium in the mortgage market: the Brueckner model. Source: Brueckner, J. K. (2000) Mortgage default and asymmetric information, Journal of Real Estate Finance and Economics, 20(3): 251-74. (R & S) (1976). The R & S model deals with high and low risk customers in the insurance market. The asymmetric information in this case is the probability of having an accident. An example for the mortgage market is the propensity to default on mortgage debt. Consumers may vary significantly in the financial and psychic costs of default which are likely to remain hidden from the lender (Brueckner 1994c, 2000). So called ruthless default occurs when the option to default is 'in the money', that is the value of a property is less than the market value of the mortgage. However, hidden costs may explain why this default option is not always exercised. Moreover, this information asymmetry can lead to the emergence of separating equilibrium with credit rationing. A significant result of the R & S model is that it demonstrates that a pooling equilibrium in the insurance market is not likely to emerge, or persist. The simple reason is that it would always pay another insurer to supply a more favourable contract that would 'cream off' the more profitable low risk clients, an effect observed above. The model demonstrates that equilibrium emerges when there is a menu of insurance contracts that separately appeal to individuals with high and low accident probabilities. This is the Nash equilibrium, that is, there is no possibility of a new more profitable contract being introduced. It seems reasonable to presume that different loan size/interest rate combinations might perform the same task in the mortgage market, that is, a separating equilibrium emerges. The exposition that follows mainly uses the analysis in interest rate/loan size space (Brueckner 1994c). This is done merely to facilitate continuity with the graphical approach adopted so far. 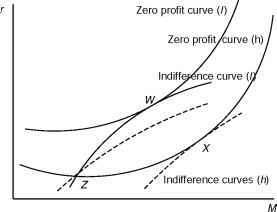 The essential features of the model suggested by Brueckner are represented by Figure 5.2.4 Compared to the J & R model there are now two types of indifference curve, and two zero profit curves. The possibility of default and different levels of default costs are now incorporated into the incentive compatibility constraints facing lenders and the indifference curves of the two types of borrower. With full information lenders would offer two separate contracts representing the equilibrium choices of two types of borrower (at W and X). So, for example, those borrowers with high default costs (type h) would be offered/take up bigger loans at a lower interest rate (at X), reflecting their lower likelihood of defaulting on the mortgage debt. Borrowers with low default costs (type l) and a greater propensity to default would be offered smaller loans at a higher interest rate (at W). As with Figure 5.2 indifference curves lying to the south east represent higher levels of utility. Like the J & R model solutions must lie on appropriate zero profit curves. Brueckner (2000) further develops this approach to mortgage contracts and asymmetric information by applying a similar model in loan size/loan balance space. In this case the consumer trades off between a good (the loan size) and a bad (the balance to be repaid in the second period of a two-period model). The outcome of this model is also a separating equilibrium, with the rationing of borrowers who have a low risk of default. If a 'fair price' price contract were offered to safe borrowers then risky borrowers would also be attracted to such a contract. A pooling contract is unstable because it will always pay some lenders to offer contracts that 'cream off' the safe borrowers. Thus competitive forces produce a separating equilibrium with self-selection, and credit rationing for at least one group of borrowers. In the Brueckner model less risky borrowers signal their default risk by selecting smaller balances at low interest rates. They bear the cost of the signalling of high risk borrowers by being credit rationed. Now consider the symmetrical and completely opposite case where low risk borrowers bear the cost of signalling by borrowing more than they would under full information equilibrium. 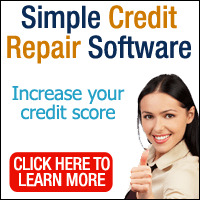 Low risk borrowers now use this additional borrowing to signal their credit worthiness. This is the outcome of a model recently developed by Harrison et al. (2004) which contradicts what has become the conventional wisdom that risky borrowers borrow more. The model emphasises the impact of income variability, that is, it takes an approach to mortgage default based upon affordability. The analysis now shifts to loan balance/loan size space where L is the initial loan and the balance B is the amount due plus interest at the end of the second period of a two-period model. Implicitly the balance-to-loan ratio defines the fixed interest rate. From the borrower's perspective a higher balance due is a poor attribute whereas loan size is a desirable attribute. The Brueckner (2000) and the Harrison et al. (2004) models are presented by equations (5.1) to (5.4). Both models assume risk-neutral borrowers and risk-neutral lenders. Though emanating from a common analytical framework, a brief overview and comparison of these two models highlights significantly different perspectives on the causes of mortgage default, and their impact upon credit rationing. The Brueckner (1994c) model discussed above, and its counterpart in loan/ balance space (Brueckner 2000) focused upon the stochastic variation in house prices. Using the same modelling framework and allowing income to vary stochastically, but not the price of the property, can produce very different results. The intuition is that a lack of variation in property prices gives the borrower a form of limited liability with respect to default. The most that they can loose is the known value of the asset (the house) and the given cost of default (C). Borrowing more allows an increase in consumption in the first period of the two-period model, but beyond the default point this has no effect on the marginal cost of default. For example, lower default costs encourage greater borrowing by low risk borrowers who are less likely to face such costs. Low risk borrowers indicate their credit worthiness by borrowing more, and they are not subject to credit rationing. The utility functions that form the basis of two models are represented by equation (5.1) (Brueckner) and equation (5.3) (Harrison et al.). The common notation includes P0 for the first period house price, y for income, C is default costs and 2 represents the borrower's discount rate, while B and M are as previously defined. The utility functions in both models begin with the loan size and first period income as positive arguments, with the expenditure on housing P0 as a negative argument. Both expressions are made up of probability distributions defined over ranges in which default will or will not arise. Clearly the borrower's utility depends on whether default occurs or not. The key difference between the two models is the stochastic variable which generates default, that is house prices in the Brueckner model and income in the Harrison et al. model. In equation (5.1), 2/p Cf(P)dP is the default cost defined over a probability distribution for house prices (P) bounded by a minimum house price P, and the mortgage balance less the default costs (B — C). The second integral represents the borrower's utility if the revealed house price is above this range, but below the maximum house price (P). In the Harrison model, equation (5.3), the focus is on income ranges and 2qj jB—P (y — C)f(y)dy is the discounted utility if default occurs. This would happen if income in the second period was not sufficient to cover any positive difference between the house price and the mortgage balance (B — P). The different sources of default risk are further reflected in the arguments determining lenders' expected profits, being equation (5.2) (Brueckner) and equation (5.4) (Harrison et al.). Both expressions have the loan size M as a negative argument, and profits are discounted by the lenders discount rate n. In the case of default the lender receives the house price, while if default does not occur the lender receives the loan balance. Comparing the two models the default outcome depends upon the revealed outcome of house price variation (Brueckner), or the revealed outcome of stochastic variations in income (Harrison et al.). The utility functions and their corresponding zero profit constraints set up the constrained maximisation problems. Figure 5.3 Separating equilibrium in the mortgage market: the Harrison etal. model. would be a smaller loan and balance (O). So the less risky borrower signals their credit worthiness with a larger loan. It is important to note that both a credit constrained outcome and a pooling equilibrium can be derived from a model with stochastic variation in income as the determinant of default (Harrison et al. 2004). A separating equilibrium with low risk borrowers borrowing more than high risk borrowers occurs when the costs of default are high. A separating equilibrium with low risk borrowers' credit constrained occurs when default costs are low. In all cases high risk borrowers achieve the same loan size as under a full information equilibrium, it is the low risk borrowers who incur the cost of signalling. The key discriminator between these two theories must be empirical analysis. If less risky borrowers do borrow more, then a potentially important source of credit rationing in the mortgage market disappears. The debate over whether mortgage market rationing actually exists, or is an important phenomenon is now reinvigorated. Paradoxically, housing finance systems where default costs are high are likely to experience less rationing. Interesting for the US and the UK is the growth in sub-prime lending which may lower default costs for some groups, that is there is 'forgiveness' for bankruptcy, or other events triggering previous defaults. Thus credit rationing should increase. However, sub-prime lenders may have significant information on the credit riskiness of borrowers. Information and default costs may be negatively correlated so that improved information systems, efficient pricing, and more complete markets lower equilibrium credit rationing. If rationing of some borrowers generates house price cycles (e.g. Stein 1995) then these considerations are of critical importance for housing market behaviour and macroeconomic policy. argue that credit ratings offer important, but incomplete signals of a borrower's default probability. In this case borrowers may be segmented by credit rating, and then offered a menu of mortgage contracts which screen out the higher risk borrowers within each group. Theoretical results demonstrate that for a given class of credit score, safer borrowers have shorter maturities and pay lower risk premiums. A key feature of the Ben-Shahar & Feldman paper is the combination of both signalling and screening, and the possibility that such a combination is Pareto efficient. Borrowers acquire credit records to signal their standing while lenders screen by offering mortgage menus that lead to self-selection. The Ben-Shahar & Feldman model is consistent with the previously discussed theories in that only risky borrowers obtain their equilibrium full information contract, but now this occurs within each subset of credit scores. Moreover, because of improved signalling via credit scores other borrowers move closer to their full information equilibrium. Again there are some implications for the impact of the sub-prime lending market here. Sub-prime borrowers can be considered as a subset of households who signal poor credit records. However, some information asymmetry may persist and there may be a screening menu of contracts and credit rationing for some households who demand sub-prime loans. Once again there is a clear agenda here for empirical, in addition to more theoretical, research. Automatic underwriting and credit scoring also has implications for the impact of securitisation on the availability of mortgage credit. Lenders have more local knowledge about the quality of loans that they pass on to mortgage securitisors so that they can effectively 'cherry pick'. Increased credit scoring information reduces this problem as securitisors can demand a threshold credit score, but lenders still retain first mover advantage, and some asymmetric information is likely to persist. The implications for the availability of mortgage credit are a complex outcome of the interactions between lenders likelihood of rejecting loans and the pricing and other strategies of securitisors. Heuson et al. (2001) models strategic games between securitisors and lenders and conclude that credit availability is unaffected when demand is high, and is actually increased by securitisation when credit demand is low. So securitisation may also generally increase credit availability and reduce credit rationing. Though the Brueckner and Harrison models, and to some extent the Ben-Shahar & Feldman model, emanate from a common analytical framework, they have a very different focus. Brueckner's model is not an option theoretic model of default of the kind to be discussed in Chapters 9 and 10, because it does not extend stochastic variations in house prices beyond a single period. However, the approach is based upon so called ruthless default where the wealth maximising borrower defaults if the house price is less than the mortgage balance plus default costs. In contrast the Harrison et al. and Ben-Shahar & Feldman models raise the issue of affordability and have implications for the debate upon the relative importance of affordability and option theoretic arguments, that will be picked up on again in later chapters. 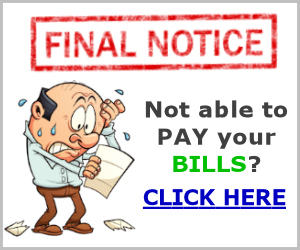 Even more critically they implicitly raise the question of just how prevalent credit rationing is in the advanced mortgage markets such as those of the US and the UK? The asymmetric information models modify the usual supply and demand framework in a fundamental way. In the models with imperfect information lenders fix both quantity and price rather than just one of these variables. The purpose, of course, is to allow borrowers to self-select and reveal their default risk. A question arises with respect to the ability of lenders to charge differential interest rates on mortgages, based on personal characteristics. In the US this would be an illegal practice.6 Consequently, lenders will need to encourage borrowers to self-select. Brueckner (2000) notes that price discrimination might arise by charging higher insurance premiums on larger mortgage contracts. This form of price discrimination is also applicable to UK mortgages. It is also worth noting that the Brueckner (2000) model in particular yields interesting comparative static properties in relation to borrower characteristics, other than the propensity to default. For example, separating equilibrium can occur as a consequence of differences in the patience of borrowers, as reflected in their respective discount rates. Here, the case of heterogeneity of borrower characteristics involving both default costs and differences in their degrees of patience is interest. 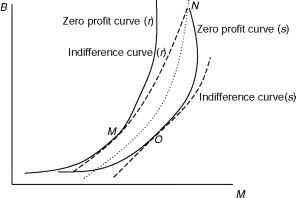 Both higher default costs and higher level of patience lead to flatter indifference curves. 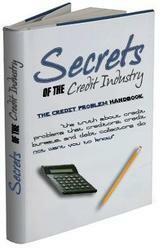 Thus a borrower who was very patient and had a low likelihood of default would face even more severe credit rationing. An important implication of the asymmetric information models involves the impact of this market imperfection on mortgage demand. Under certain conditions low risk individuals will obtain smaller mortgages than high risk borrowers. The econometric specification of a mortgage demand equation for this group of borrowers must allow for this truncation of the distribution of observed mortgages. Alternatively, the asymmetric information model of Harrison et al. demonstrated that when affordability was the main consideration less risky borrowers may bear the cost of signalling by borrowing more than high risk borrowers. Thus mortgage demand may be a negative function of income variability and the costs of default, or those variables which proxy these arguments. In this case there is no truncation of the distribution of observed mortgage balances. The asymmetric information models do suggest that chosen loan size (mortgage demand) is endogenous to the likelihood of default decision and vice versa. This is a point noted by Yezer et al. (1994). The merit of Brueckner's work is that considering the microeconomic decision making of individuals highlights this simultaneity. This and the truncation of the observed distribution of mortgages, for rationed households, has potentially important implications for the econometric specification of mortgage demand equations, an issue to be explored more fully in Chapter 6.